Last weeks students of the Eindhoven University of Technology (TU Ecomotive) officialy unveiled their fifth concept car: Noah. World’s first circular car made from recyclable materials. Why make something and just throw it away after you use it? We believe that we have to alter the way we look at our production by using recyclable materials and smart design to initiate a circular economy. The switch to electrical drivetrains requires significant changes to the vehicles’ design, this is the perfect moment to step away from the traditional design mentality and start with a clean slate. 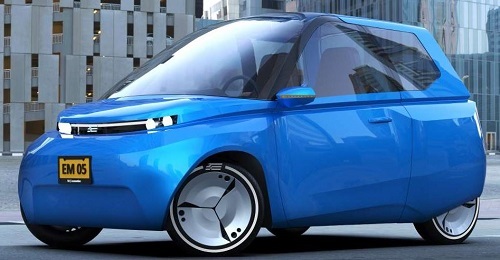 Every year, TU Ecomotive builds an innovative, electric car. We have developed our countries most efficient city car and the year after that we have created the world’s first modular car. This year, we will take the next step to get closer to what we think will be the future of mobility. We want to show the world, and especially the automotive industry, that there is a lot of potential in the evolution of the car. Through building compact and efficient city cars from durable materials, we are showing how cars of the future should be build. Our challenge is to create awareness among the car owners of today and tomorrow. The automotive industry as we know it is changing and this the moment to step up and show the possible applications of today’s technology in tomorrow’s car.